Anyway, this is not a thank you post, but I would like to share the information that I have collected upon the first day when I owned the NAS, especially to the new owner. This info is not exclusive info that I own, but it's the summary that I collected all over the internet. And before I get onto it, I guess it may be good to provide a quicker guide that is quicker than quick start up guide provided by D-Link. Since it's a network device, you will need to make sure your network device such as wireless router or ethernet network switch is ready for the NAS. If you have DHCP enabled, it's easier, just plug in the NAS and power it up. If you are not, read the manual for the default IP (I believe it's 192.168.1.32) of DNS-323 and configure your workstation to be in the same subnet with the NAS. I would strongly recommend to enable DHCP on your router for headache free setup. The snapshot is only for reference only, different router has different settings, do check out the manual. This eases the configuration if you want to run other services from NAS over to internet. 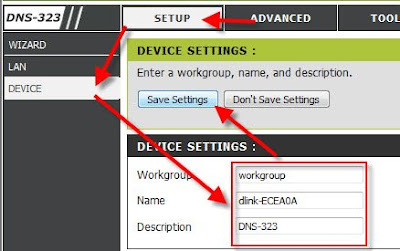 You can also use the bundled Easy Search Utility (ESU) to fix an IP to DNS-323 and run DHCP server from the NAS, but I would think it's good to centralize the network management responsibility to the router for easy troubleshooting and management, rather than configure the different network settings at each networked device at your home network, you might have conflict settings over time and it's difficult to troubleshoot then. 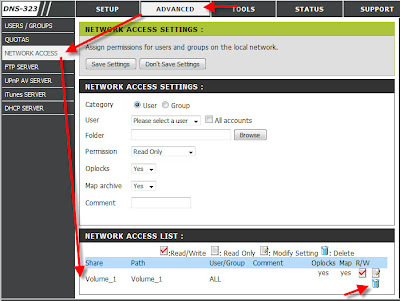 Once your NAS is successfully connected to your home network, now you can either use the ESU to enter the setup page or directly launch your internet browser (of course you need to format your harddisk first but I would not cover the steps over here, read the manual). For former option, download the latest ESU from D-Link site. The latest ESU also allows you to install BitTorrent program onto NAS. Click Save Settings once done. I do not guarantee it works, but worth trying it out. The best way is to have password for each Windows ID for tighter security. If you want to access your files via FTP from internet, it's good to register an ID and free domain name at Dynamic DNS. If your router support DynDNS, then configure your router with the ID and password of your DDNS account as well as the host name (domain name) that you registered for your FTP. 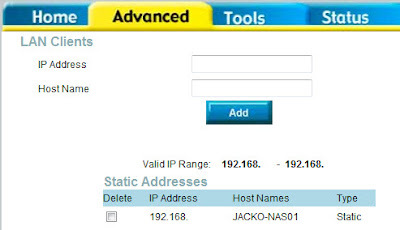 Once done, configure the port forward at your router to forward port 21 to the NAS. That's all for the start up of DNS-323. Other features like iTunes and UPnP is pretty straight forward that you can refer to manual for details. 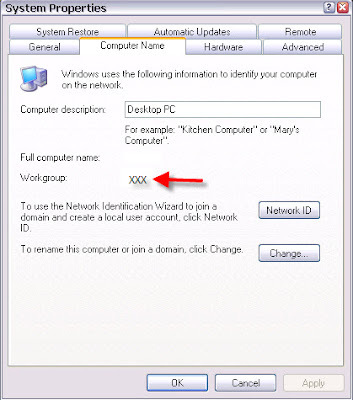 You may need to install the PNP-X driver on your Windows machine for UPnP to work properly. Download it from D-Link website. If you can't find it in the local site, go to D-Link's US site to look for it. To be geekier, check out D-Link forum and you may get support from D-Link engineers directly. Also, find more fun from hack forum that you can learn how to add more applications to the NAS. There is one wiki site too for your reference. It's fun to hack the NAS and it's simple to do so for certain hacks, but be extra cautious to follow exactly the steps recommended by other users 'cause one simple mistake may brick your NAS.